We are a professional photography services company based in Kolkata . 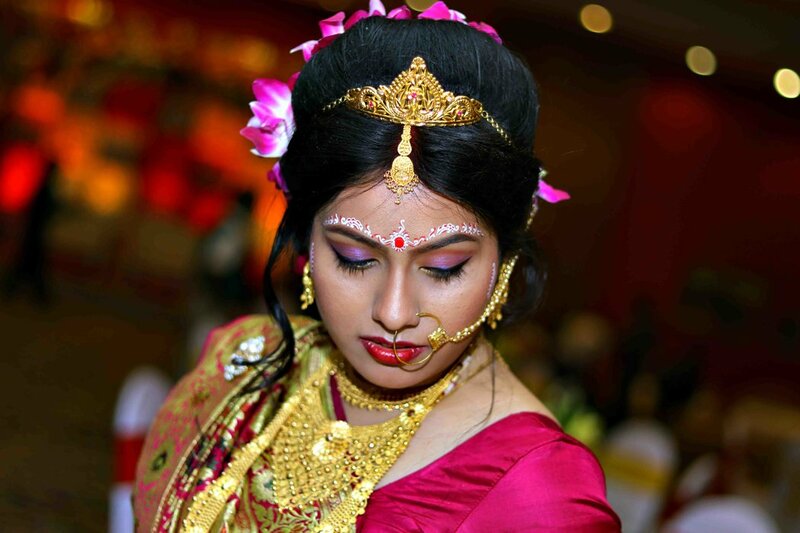 We have been running a professional photography business for 15 years, specializing in Bengali Wedding, Bridal Portraits, Candid Wedding, Pre-wedding Shoots, Reception, Wedding, Babies & Kids, New Born, Birthday, Kids Portraits, Fashion & Portfolio, Show & Pageant, Model Portfolio, Celebrity & Glamour, Portraits, Special Occasion and Anniversary photography. We undertake customized photography requirements. Some of our products and services include CD / DVD, Photobook and HD Videos. We provide services in West Bengal. We are proficient in Hindi, English and Bengali. photographer is good,work is even better.but the page quality of the album could have been better than i got in that price tag as i got another album which has better page quality in less price than yours. I booked Nandy Creation for wedding photography and I must appreciate their professionalism and quality of service. Canvera album quality is also praiseworthy. I will surely recommend Nandy Creation to my friends and relatives. A very dedicated set of photographer. The wedding photographs were really beautiful. The photographers were very classy and modern in their approach. They were always ahead of time on the days on the shoot. The photographs were also provided by exactly within the timeline that was agreed upon. Really nice photography done at a very reasonable rate.The package was for 3 days i.e. wedding, the day after wedding and the reception.The album is really nice. 240 photos were selected for the album.I would give a 5 star rating. Your message was successfully sent to Nandy Creation. The Photographer may contact you soon.